We’ve known for nearly a century that the Universe is expanding. The fact that galaxies are receding away from us was first demonstrated by Edwin Hubble in 1929, building upon the work of Henrietta Leavitt and others. Since then we’ve developed a variety of ways to measure the rate of cosmic expansion, and while they are broadly in agreement, there are small discrepancies between them. As a result we still don’t know exactly how fast the Universe is expanding, as astrophysicist Ethan Siegel has so clearly explained. Now a new method of measuring cosmic expansion may settle the issue, but it also raises more questions. 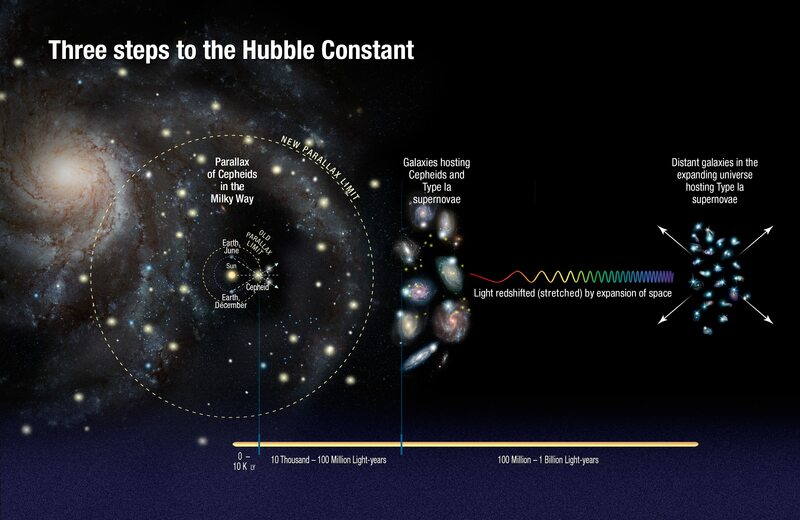 It all comes down to a physical parameter known as the Hubble constant. The bigger Hubble constant, the greater the rate of cosmic expansion. The value of the constant also tells us the age of the Universe. If you trace the expansion backwards through time, you reach the point where the Universe was extremely hot and dense, commonly known as the big bang. Hubble’s original measurement of the constant compared the distances of galaxies with the redshift of their light. He calculated galactic distances by measuring the brightness of variable stars known as Cepheid variables, and combined them with measurements of galactic redshifts made by Vesto Slipher. He found that more distant galaxies had greater redshifts, and presumably were receding from us at a greater rate. Hubble’s original value for the constant was about 500 km/s/Mpc, which caused a bit of a cosmological crisis. If the value was correct, the Universe was only about 2 billion years old, which contradicted geological evidence that showed the Earth was more than 4 billion years old. 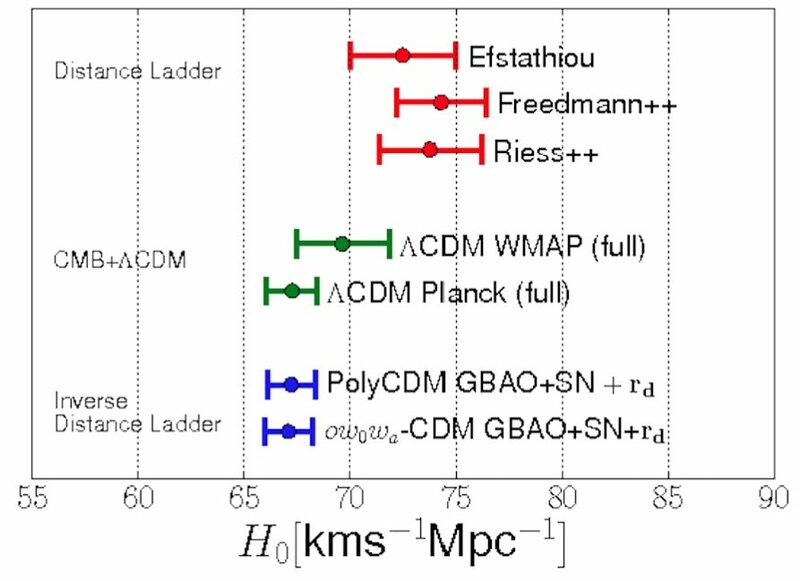 Over time our measurements of the Hubble constant got better, and the results settled around a much smaller value of around 70 km/s/Mpc, putting the age of the Universe at about 14 billion years. We also developed different ways to calculate the Hubble constant using different types of data, and they each produced similar results. This means we know for sure that the Universe is expanding, and we have a pretty good handle on just how fast it’s expanding. But while these different methods broadly agreed, they didn’t exactly agree. It was generally thought that as our measurements got better this discrepancy would go away, but it didn’t. Something was clearly wrong with our understanding of cosmic expansion. “Cosmological implications of baryon acoustic oscillation measurements”, Aubourg, Éric et al. Phys.Rev. D92 (2015) no.12, 123516. Hubble’s method of comparing distance with redshift has been extended by shifting from Cepheid variables to supernovae. A particular type of supernova known as Type IA allows us to determine galactic distances across billions of light years. In 2016, observations from the Hubble telescope using this approach gave a value of 73.24±1.74 km/s/Mpc, which is on the high side of modern values. 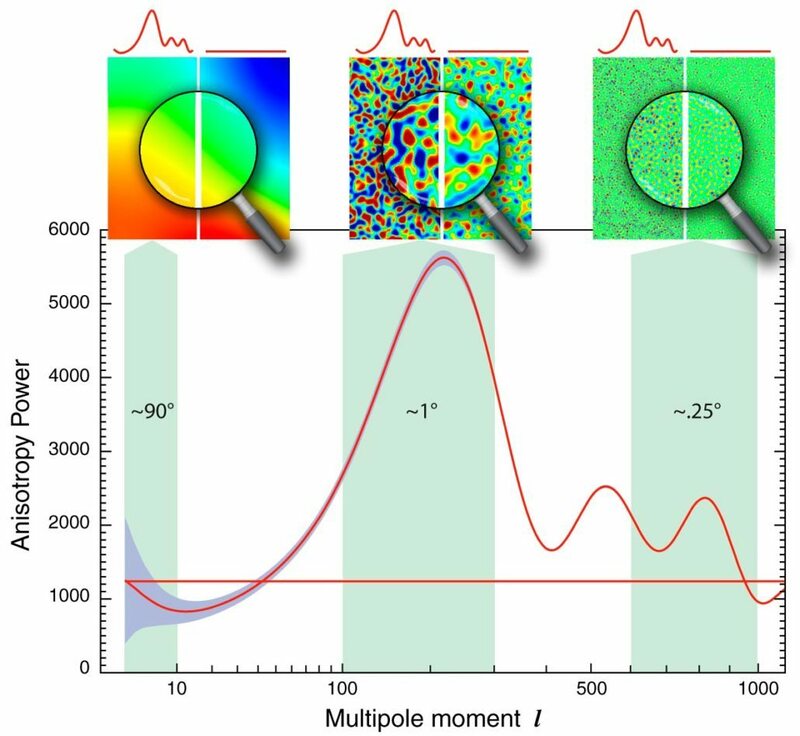 A different approach looks at fluctuations in the cosmic microwave background (CMB). The CMB is the thermal remnant of the big bang, and while it is quite uniform in temperature, there are small-scale fluctuations. As the Universe has expanded, these fluctuations are stretched, so the scale at which fluctuations peak gives a value of the rate of cosmic expansion, and thus the Hubble constant. The most precise CMB measurement of the Hubble constant was made by the Planck satellite, and gave a result of 66.93±0.62 km/s/Mpc, which is on the low side. The Planck result agrees with another method known as baryon acoustic oscillation (BAO), which looks at how galaxies cluster together across billions of light years, which gives a value of 67.6±0.7 km/s/Mpc. These disagreements are problematic because they point to problems in our cosmological model. Although each result is quite sophisticated, they depend upon certain assumptions about the Universe. Our current model, known as the LCDM model, includes regular matter, dark matter and dark energy, as well as things such as how flat the Universe is on small scales. Each of these can be measured by independent experiments, but the results all have a bit of uncertainty. Tweak the values of these parameters within the model, and the value of the measured Hubble constant shifts. So we could tweak the model to make Hubble constant results fit, but tweaking models to fit your expectations is bad science. 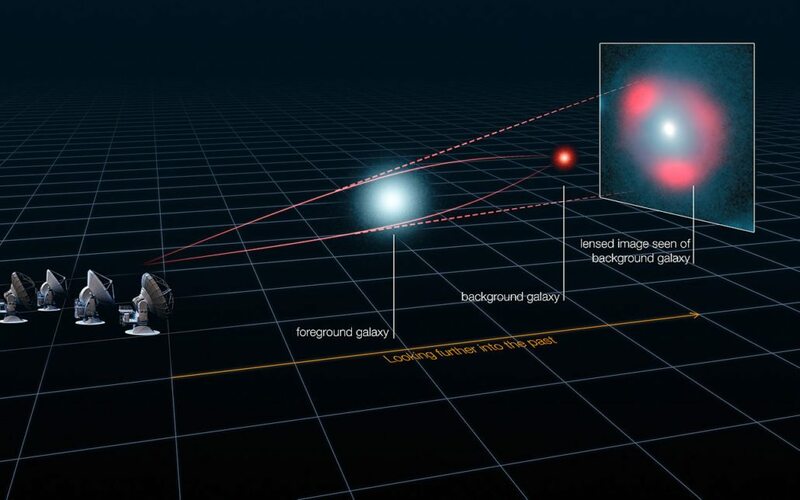 Now there’s a new method for determining the Hubble constant, and its result is very interesting. Diagram showing how distant light can be gravitationally lensed. ALMA (ESO/NRAO/NAOJ), L. Calçada (ESO), Y. Hezaveh et al. Rather than looking at the CMB or measuring galactic distances, the new approach looks at an effect known as gravitational lensing. As light passes near a large mass such as a star or galaxy, it is gravitationally deflected. As a result, light from a distant object such as a quasar can be deflected around a less distant galaxy. 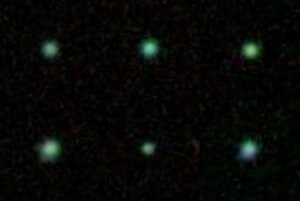 Instead of seeing one image of the distant quasar, we see multiple images. But if we look at these lensed images things get very interesting. Each image of the quasar has taken a different path, and those paths can have different lengths. So some images reach us sooner than others. We’ve seen this effect with distant supernovae, for example, allowing us to see multiple “instant replays” of a supernova over the course of a few decades. Quasars can fluctuate in brightness, which allows us to measure the timing between lensed images of a particular quasar. In this new approach, the team looked at several lensed quasars, and measured the timing differences. These timing differences are affected by the Hubble constant, so by measuring different lensed quasars the team could get a value for the Hubble constant. The key here is that while the results depend strongly on the value of the Hubble constant, they aren’t affected very much by other model parameters such as the amount of regular matter and dark matter. It’s a more direct measurement, and therefore less dependent on model assumptions. The result they got was 71.9±2.7 km/s/Mpc. This agrees pretty well with the Hubble results, but not with the CMB results. Since the result is less model dependent, it raises questions about our cosmological model. Why are the CMB and BAO results so much lower than the others? It isn’t clear at this point, and while this new result is great, it doesn’t solve the mystery of Hubble’s constant. What is the age of the Universe based on the new value? What would the age be if we assume a linear rate of acceleration expansion, even second order rate? About 13.81 billion years, give or take about 40 million years. In linear expansions the universe would be ~14.4 billion years old, which is also known as Hubble time. Thank you. I read several other reports of this study. None made clear how specifically the lensing was used to measure expansion, nor why the difference in techniques raised fundemental questions about cosmological theory. It is very frustrating to read articles where the writers don’t understand enough to explain it to a layperson. Hi. I have a question. I’ve read many times about Hubble’s discovery that galaxies are all moving away from us, and that formed the basis of inflation of the universe. But, I’m having a hard time digesting this. If all galaxies are moving away from us, than this would imply (to me, anyway) that we must be the center of the universe (which I seriously doubt). In order to actually “know” this, wouldn’t we need perspective from another point (many light years away) in order to triangulate? If you haven’t guessed, I am not a physicist, astronomer, et al. I don’t have a degree in science. But I read, and I try to understand. I’d appreciate someone explaining this to me. If galaxies were simply speeding away from us due to their motion (as if we were the center of the universe) distant galaxies would look different. The brightness and size of distant galaxies shows us that the Universe really is expanding, so we aren’t the center of the Universe. Edwin Hubble didn’t ever claimed that his red-shift measurements are proof that “galaxies are receding away from us”. Reality is that he was claiming that there might be different explanation of his famous red-shift measurements. It is a common misunderstanding about Edwin Hubble is that he is a founder of “Big Bang” theory. There’s nothing false about that statement at all. Hubble did demonstrate cosmic expansion. He was also a cautious scientist and knew that it led to a cosmic age that contradicted geology, among other things, and so didn’t claim cosmic expansion to be true. However in the larger historical context we now know about systematic errors in Hubble’s data, and further observations have confirmed this, which is why cosmic expansion is now at the heart of modern cosmology.